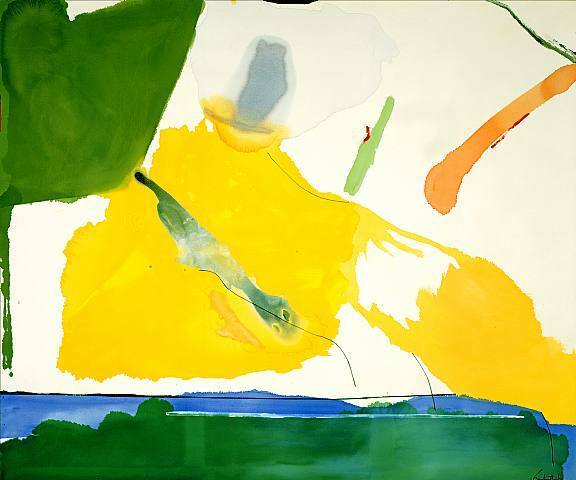 Helen Frankenthaler, the American Abstract Expressionist Painter died this passed Tuesday, (December 27, 2011), in her home in Darien, Connecticut at the age of 83. Although Frankenthaler did not consider herself a feminist, in an art world dominated mostly by men—especially during the post-war period—her presence as a female artist in an impenetrable scene (male or female), was already a statement in and of itself. 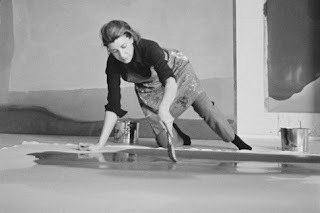 Born to Alfred Frankenthaler, a prominent New York State Supreme Court judge in December 12, 1928, Frankenthaler grew up in the Upper East Side in New York, and attended Dalton School and Bennigton College. "My father thought I was special from the day I was born," the artist recalled in an interview, and "as I result I felt special," as noted in the video (featured above). She's admitted that her parents had enforced in her a sense of confidence, which instilled in her a belief that she could do anything she put her mind to. 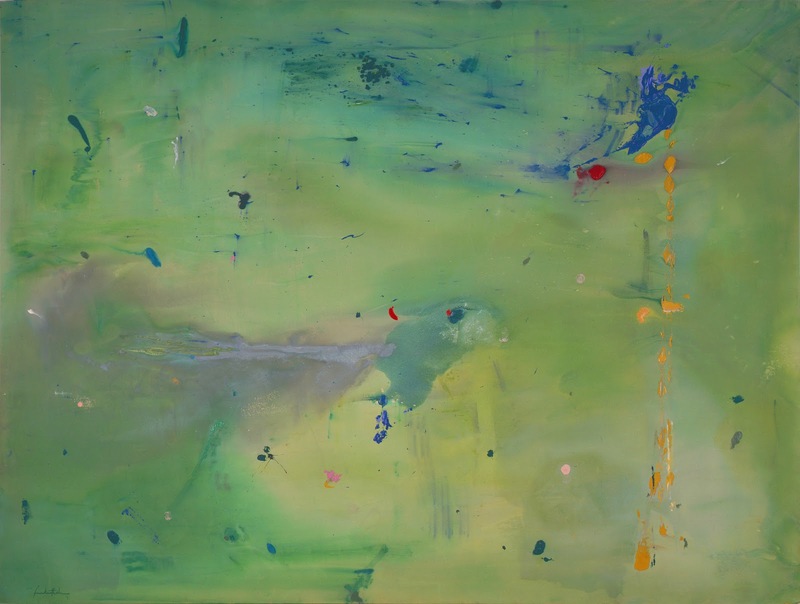 And that she did indeed; the abstract expressionist painter's work was highly influenced by Jackson Pollock, Hans Hoffman, and Clement Greenberg (then an influential literary and art critic) who introduced her to the New York art scene. 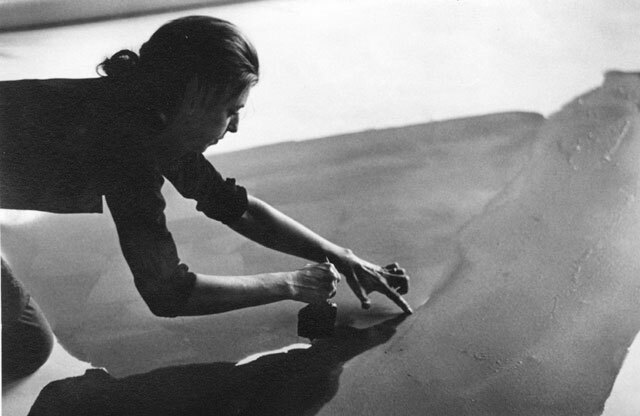 Greenberg officially put her on the art map by including her in the Post-Painterly Abstraction exhibition that he curated back in 1964. 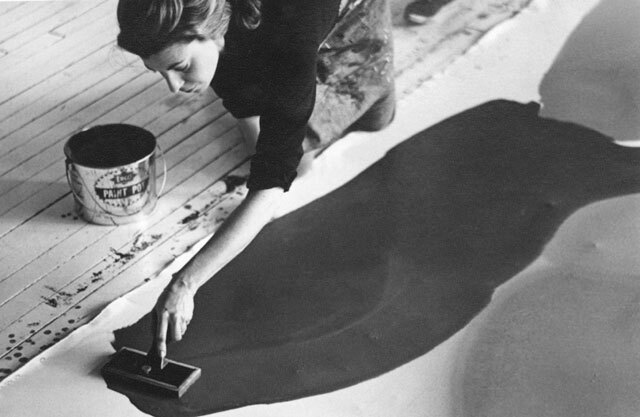 As a prolific artist, her work spanned into three decades, and was known for successfully inventing the method of soak stain, whereby one paints onto a raw canvas enable for it to absorb the colors more intensely. 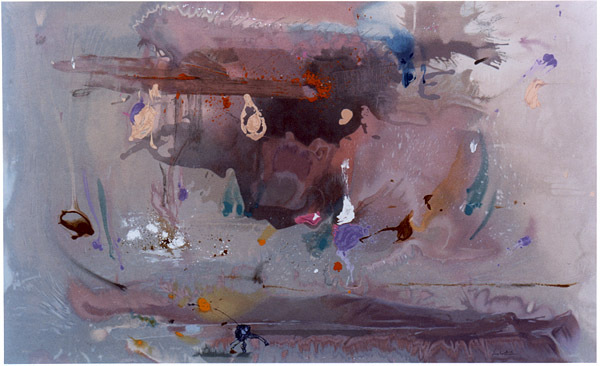 She also watered down the oil paint and would use it with turpentine to intensify the effect even further—of treating oil paint as water colors. She also used sponges and mops to create her shapes after pouring the paint into the canvas. 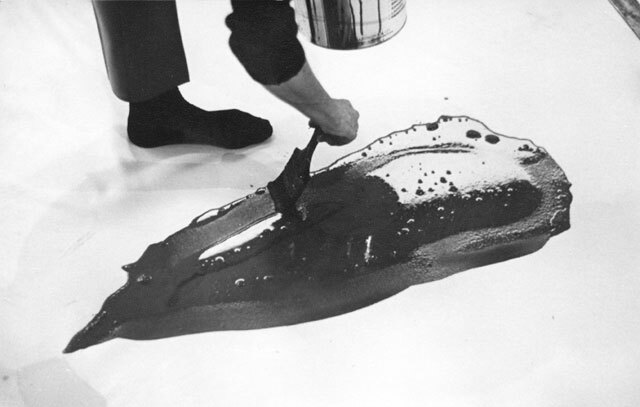 Jackson Pollock has been known to adopt the same technique, along with Kenneth Noland and Morris Louis. 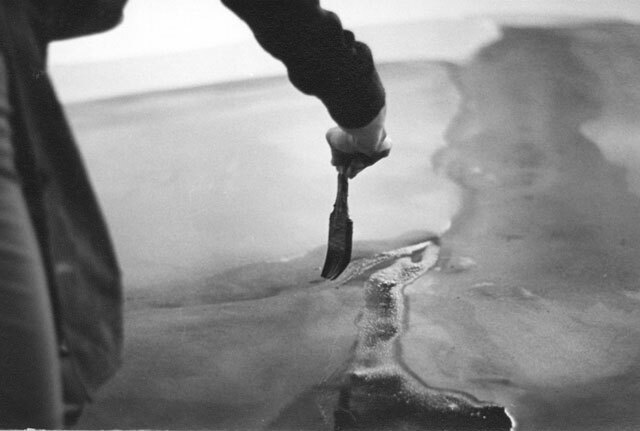 And inversely, Frankenthaler assumed placing the the canvas on the floor as she developed her painting process, a practice that Pollock had introduced with his work as a new and innovative way of painting. 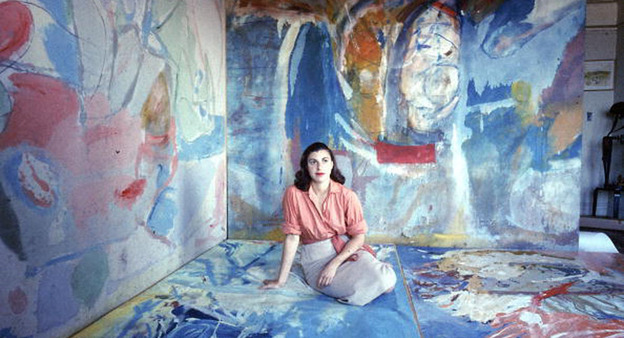 Such unconventional ways of manipulating the paint on canvas, created a clear break from the European expressionists influence; it started a continued strong artistic movement—away from the old world and into the new, right here in New York—and has made the Big Apple the center of the art world since. 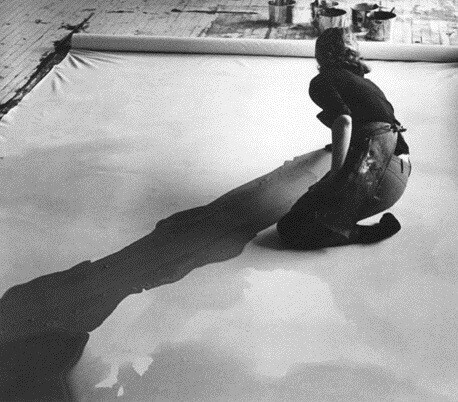 "What I took from [starting to paint on the floor] was the gesture and the attitude," she later recalled in starting to paint floor bound via Jackson Pollock. As a living painter, New York artist's works sold for as high as $300,000 during her coming-of-a-painter-years, and later, they still sold from $60,000 to $90,000 a piece. 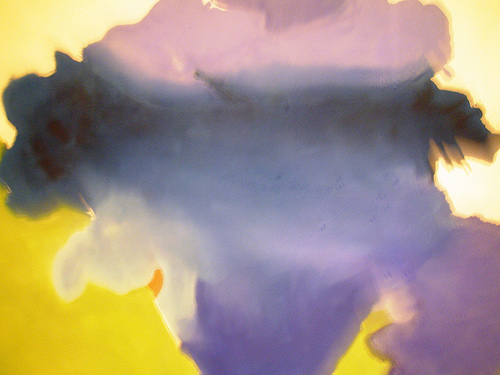 Frankenthaler became one of the most influential abstract impressionists pioneers of all time. 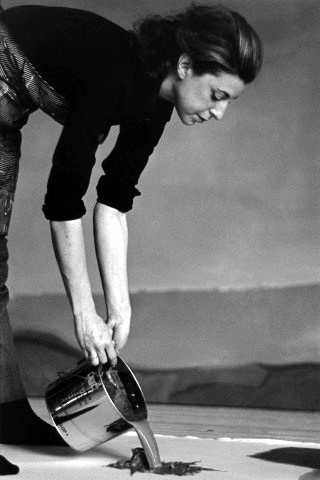 She has had her work exhibited as a retrospective at the MoMA in 1989 and has received the National Medal of Arts in 2001. She has also served on the National Council on the Arts of the National Endowment for the Arts from 1985 to 1992, and has been on the faculty at Hunter College City University of New York. 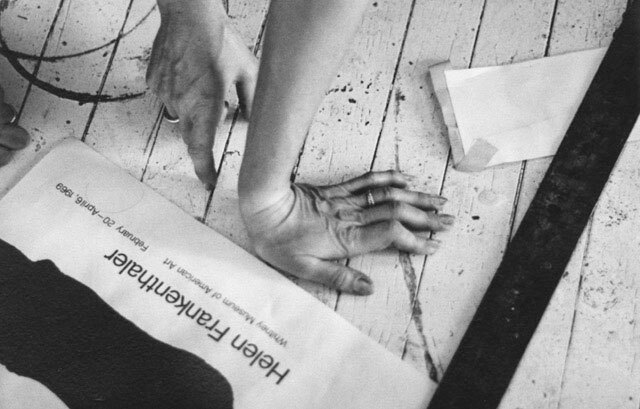 Of her craft she has described her relationship to creating as, "One is closest to one's self when one is closest to one's work, dreams and hopes, and—making your own magic."